The Gospel of St John 12, 1-8 refers to the raising of Lazarus from the dead, and tells the story of a woman taking a pint of perfume of nard, pouring it onto the feet of Jesus, and wiping the feet of Jesus with her hair. Judas was annoyed, and said that the perfume could have been sold, with the money raised then given to the poor. 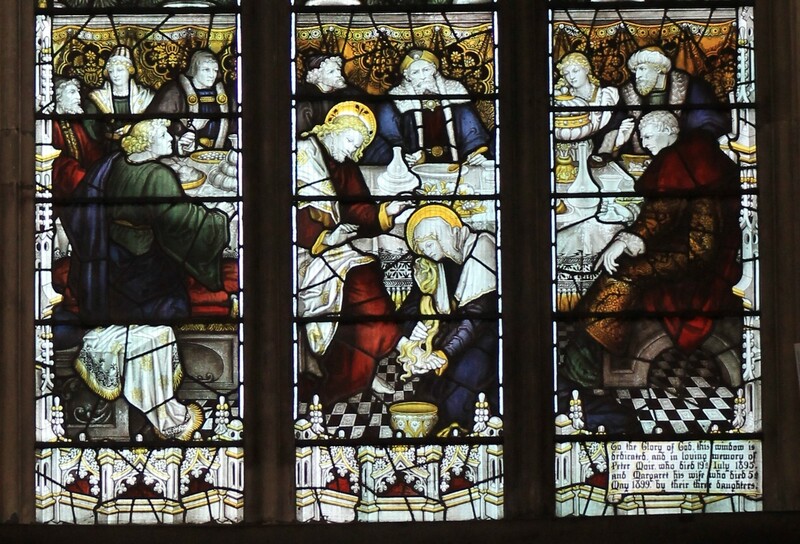 Judas, however, had a vested interest in offerings to the poor. Two windows and one carved wooden panel in St Swithun’s church are connected with this reading. 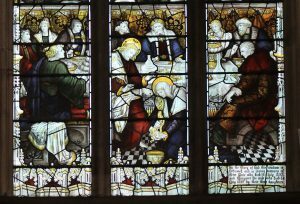 On the north wall, the window nearest the altar in the Chapel of the Nativity depicts the raising of Lazarus in the lower section. Lazarus is emerging, still wrapped in bandages, from the cave of his tomb. Over the head of the figure of Jesus are the words ‘Lazarus come forth’. This window is the work of Clayton and Bell, in 1883, and was given in memory of Richard Buckley, a son and brother, who died aged 17½. The choice of this story for a window given in memory of a son who died young is very poignant. The panes above depict the Transfiguration. 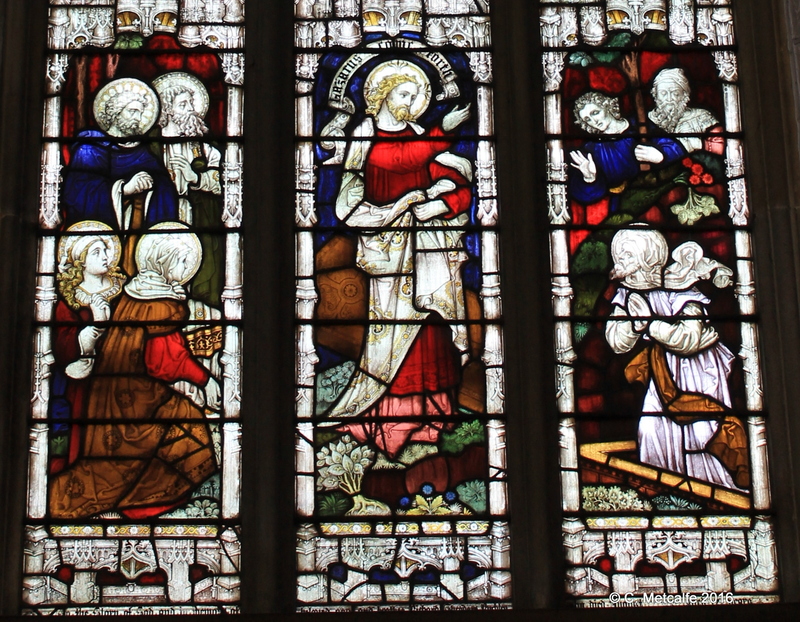 The window just outside the Chapel on the north wall is the work of Kempe, 1900. The lower section depicts the Anointing of the Feet of Our Lord. The scene is like a painting of the Last Supper. The face of Jesus is strikingly beautiful. 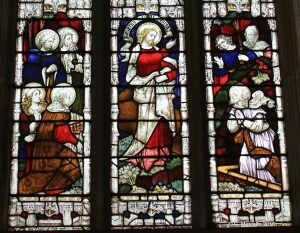 This window is a memorial to Peter Moir who died in 1895, and to his wife, Margaret Moir, who died in 1899, and it was given by their three daughters.